Welcome to Gowali Sadaat's official website. This site is dedicated to the magnificent village in the western Uttar Pradesh, Northern India. Gowali Sadaat is approximately 140 Kms North-East of Delhi by road (mostly towards NH-24) and is situated near Chandpur City, District Bijnor. The nearest railway station is located in Chandpur, 5 Kms from Gowali. The Gowali Sadaat is well connected to Chandpur, towards west and Naugawan Sadaat towards east. Gowali has a population of approx 5000 + inhabitants. 90% of the population is literate. 100% of Muslim population is literate. 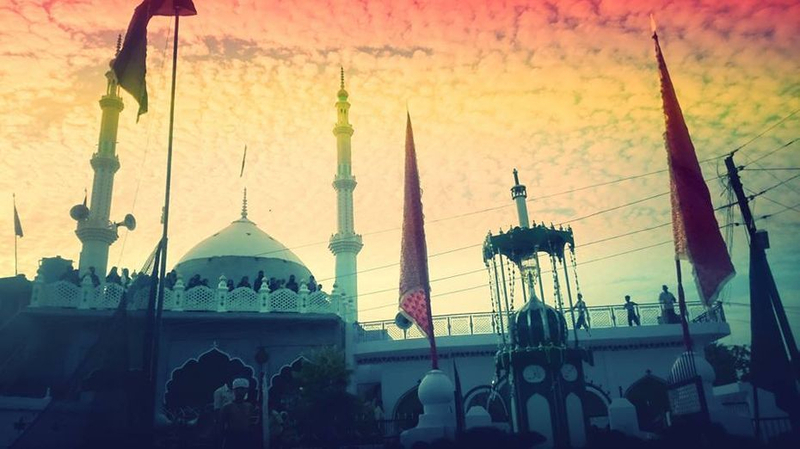 Gowali Sadaat is primariliy famous for the observation of the Muharram ,Martyrdom of Imam Husain a.s. , the 3rd Imam and Son of Imam Ali a.s. All communities of Uttar Pradesh.The Tazia of the 10 th day of Muharram and the Juloos of Imam Ali Asghar during the night of 9th Muharram is quite famous. The 13th Safar to observe the Martyrdom of Bibi Sakina a.s. is also observed and ladies from all over west U.P. visit Gowali. Please visit the sections of this website which includes Videos, pictures of Gowali and specially the Azadari pictures. Don't forget to come back again and refer this site to your friends and family..cheers! Go to our Facebook Group Page Now!